Thanksgiving is a time many people spend with their families at home and give thanks for what they have. That is…for those of us who have homes. In 2012, the number of homeless Utahns was 16,522, up 15 percent from the previous year. Contrary to popular belief, most homeless are not single adult men. 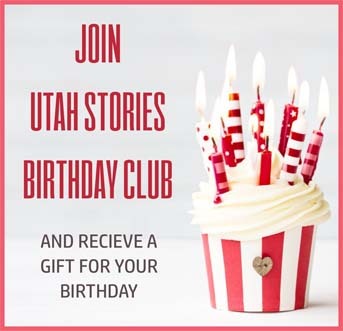 Forty-five percent of the homeless population in Utah are members of families (the fastest growing demographic), and a third of them are children. Sadly, the Department of Workforce Services reports that one in every 150 school-enrolled children is homeless. For many, Thanksgiving serves as a reminder of what they don’t have. Homeless families can’t exactly prepare a Thanksgiving meal. As such, many local organizations, armed with staff and volunteers, come together to create Thanksgiving meals for Utah’s homeless. Most notably, The Rescue Mission of Salt Lake, located at 463 S/400 W, hosts a large turkey dinner buffet. This well-publicized event often attracts volunteers such as the Utah Jazz and Governor Gary Herbert. Other religious organizations also host their own meal services, namely Eagle Ranch Ministries, the Greek Orthodox Church, The Adventure Church Food Pantry, Salt Lake City Mission, The Church at Liberty Park Food Pantry and the Good Samaritan Program. 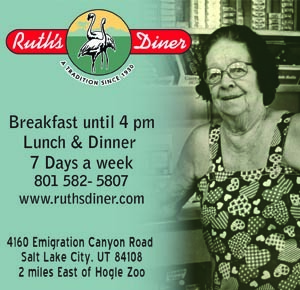 Non-secular organizations such as the Urban Indian Center of Salt Lake and Salt Lake County Aging Services offer similar dinners for the homeless. While not being able to offer meals, even more organizations offer Thanksgiving baskets. Many local food banks and pantries offer these services, as well as the several Salt Lake Community Action Program offices. A full list of these sources will be provided by 2-1-1, a subsidiary of the United Way. Dialing 2-1-1 on any telephone will connect you to their hotline.